Want a great looking smartphones with specs to match, including 6GB RAM, but costing just $174.99? 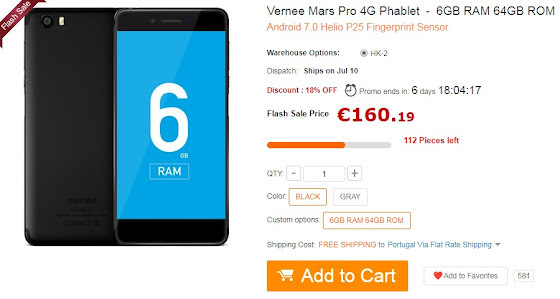 Then check out Vernee's latest Mars Pro. 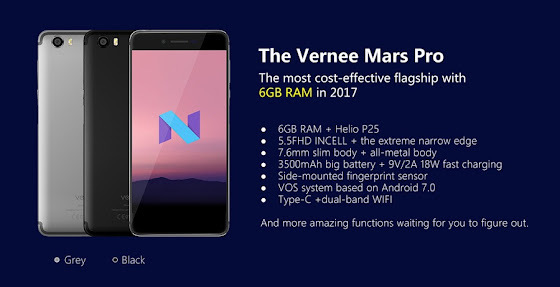 The Vernee Mars was already one of the nicest looking smartphones on the market, and the new Mars Pro makes it even better. You get a Full HD 5.5" screen with minimal edges, Helio P25 octa-core CPU running at 2.5GHz, 6GB RAM, 64GB flash, microSD up to 256GB, dual 13MP+5MP camera, dual SIM, 3500mAh battery (with 9V/2A fast charging), and Android 7.0 based VOS. All this in a slim 7.6mm thick body, enough to have a side mounted fingerprint sensor on the power button, just like some of Sony's Xperia device. 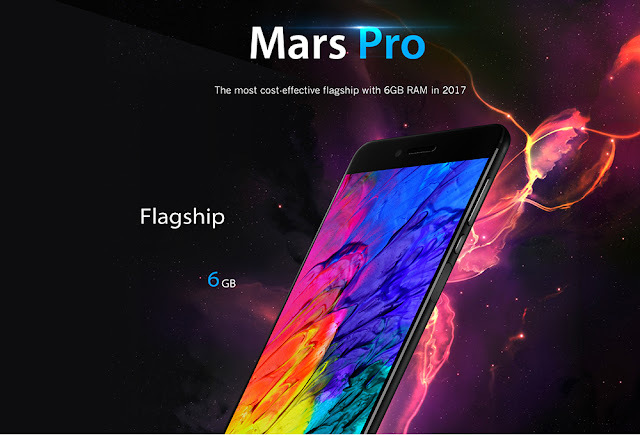 You can get the Mars Pro for just $179.99 right now, but you might also want to try to grab one of the 80 daily units at an even lower price of $174.99 (you can also try the MARSPRO discount code). But fret now, even at its regular $179.99 price, it is an amazing deal, and you'll sure love it. The hardest part may be trying to prove your friends that indeed you got it for just that amount, as you can bet they'll think you paid at least twice as much.